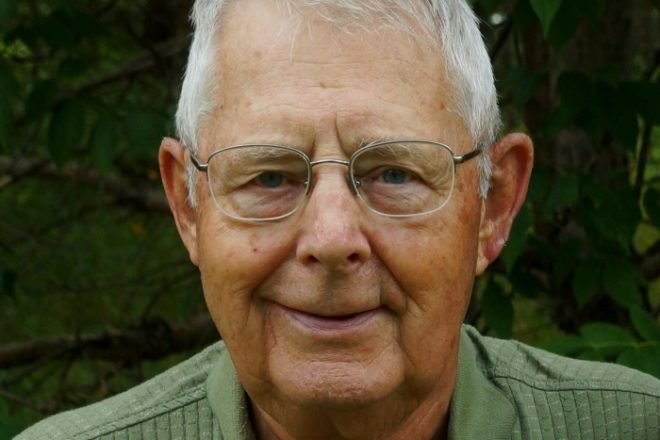 Roger Kerscher, 81, of Sturgeon Bay, died at Anna’s Health Care on Nov. 30, 2018. He was born Dec. 17, 1936 in Sturgeon Bay to Gabriel and Lorraine (Jome) Kerscher. On July 2, 1960, he married Jane Kolstad at Forest Church. She preceded him in death on June 5, 2017. Roger served his country in the U.S. Army in Europe for several years after WW II. For many years, he worked for Palmer Johnsons in Sturgeon Bay and drove the Napa Auto Parts Truck in his retirement. He was a long-time member of Tanum-Forest Lutheran Church where he had served as a deacon. Roger was a past member of the Sturgeon Jaycees, the Door County Rod and Gun Club, and a life-time member of the Gardner Rifle Club. Roger loved spending time doing projects on the family farm. He will always be remembered as a very social person who was a good neighbor and friend to many. If anyone ever needed a helping hand, Roger was there and willing to help. Survivors include 2 children, Joni (Gary) Witalison of Fish Creek, and Rob (Ilsa) Kerscher of Spring, TX; 4 grandchildren, Dalton, Travis, Brady and Allura; a brother Cyrus Kerscher of Sturgeon Bay; in-laws, Willy and Fay Kolstad of Forestville. He was preceded in death by his parents and a sister Joni Kerscher. Friends may call at the Forbes Funeral Home on Friday, Dec. 7, 2018 from 3 – 6 pm and at Tanum Forest Lutheran Church on Saturday, Dec. 8, from 10 – 11 am, when a memorial service will be conducted by the Rev. Peter Mannoja. In lieu of flowers, memorials may be directed to Tanum Forest Lutheran Church.